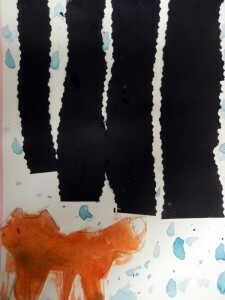 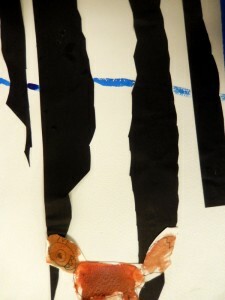 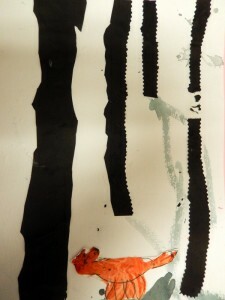 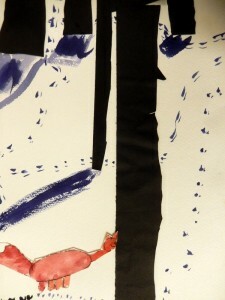 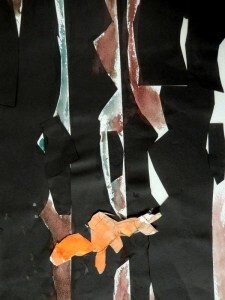 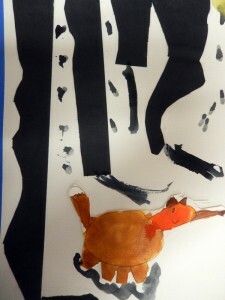 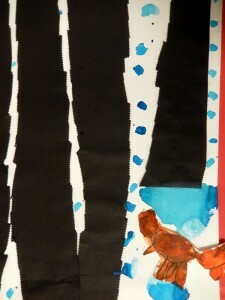 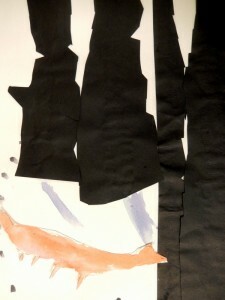 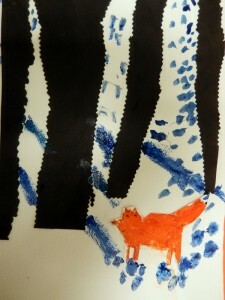 First graders practiced creating the illusion of depth in this snowy picture. 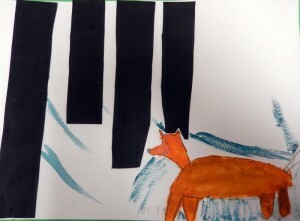 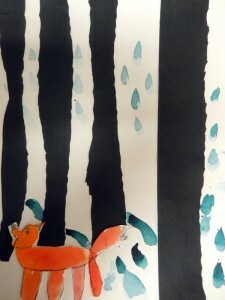 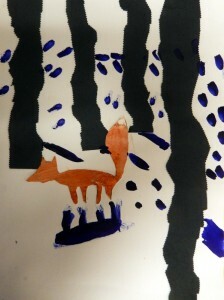 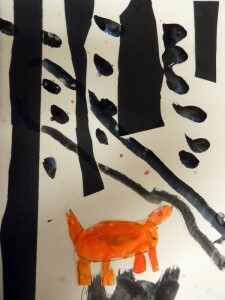 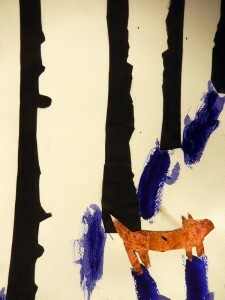 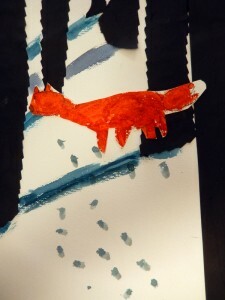 By making their trees different widths and heights, they learned they could make it look like their fox was emerging from a deep, snowy forest. 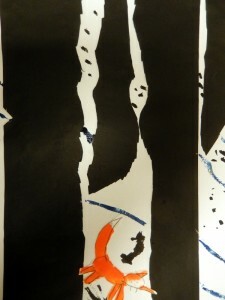 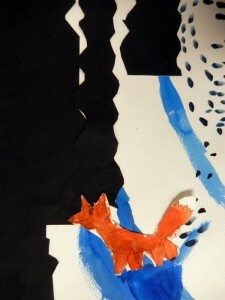 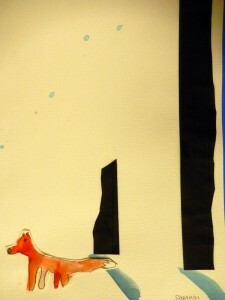 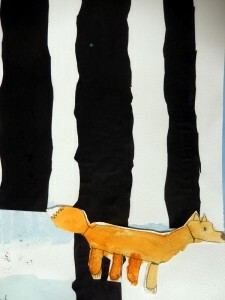 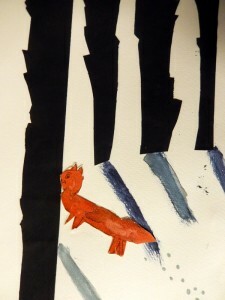 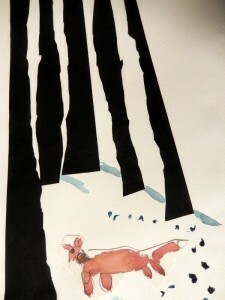 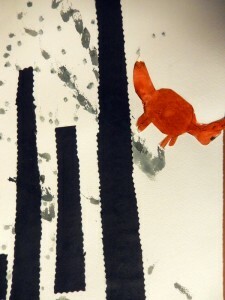 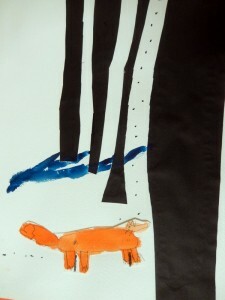 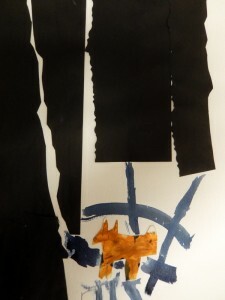 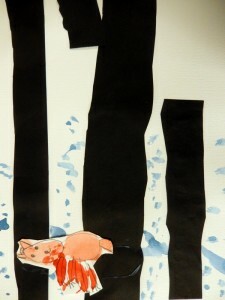 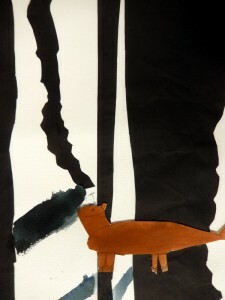 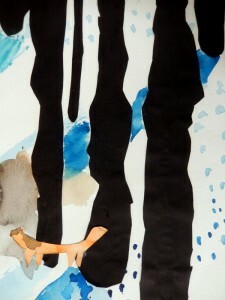 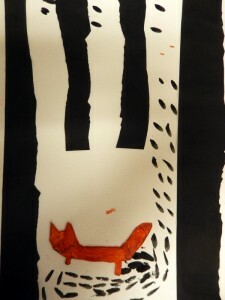 They used watercolor for the fox and its shadow.